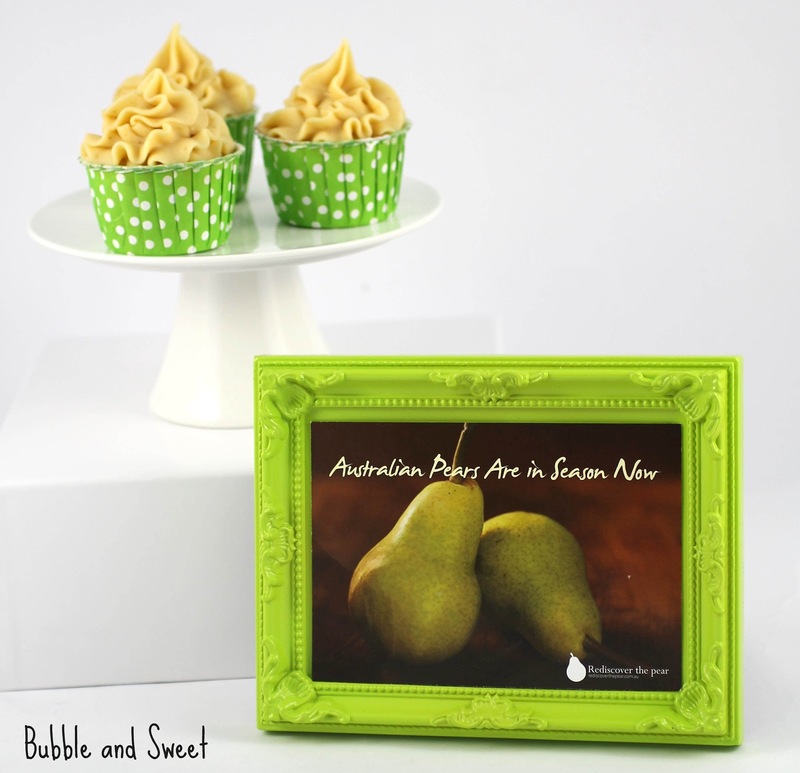 Did you know it's National Pear Month in Australia. Yup it's happening all around you right now and I bet quite a few of you might have even been participating and supporting local growers by eating a delicious juicy pear. There are also all kinds of exciting pear relating goings on around, including your chance to win for dinner for 2 HERE and lots of other foodie events around the country. You can find out more at rediscover the pear HERE. We don't actually need to rediscover the pear in this household, despite all the cake and cookies I bake we are big fruit eaters here, and yummy Australian pears are always in the fruit bowl during their season. trust me don't do that, make your swirl smaller like the other pics. 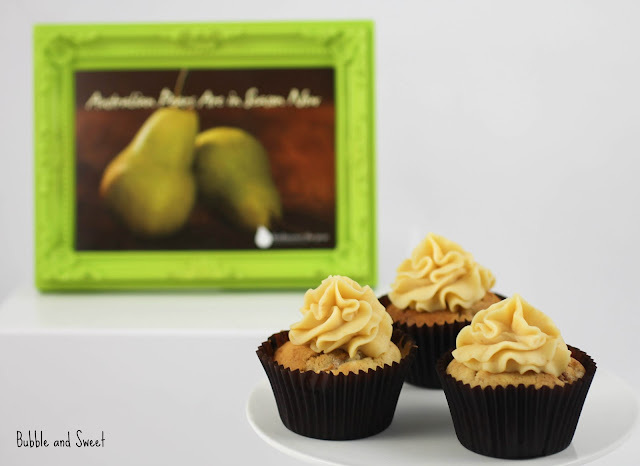 In celebration of the pear, I came up with this light and delicious spiced pear cupcake topped with a swirl of creamy caramel cream cheese icing. 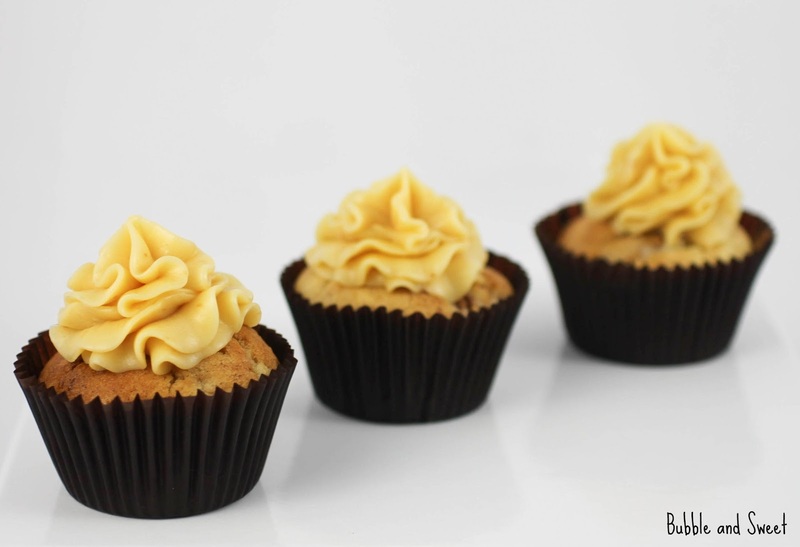 The light and fragrant cupcake was reminiscent of a tea cake and matched the decadent icing well. But if your looking for something less creamy they were also lovely without any icing, or dipped in butter and cinnamon sugar. Note that this recipe calls for Extra Large eggs in place of large eggs, just because that is what I mostly have in my fridge. I use organic eggs when possible and always free range. 250 (8 3/4 oz)grams unsalted butter softened. Preheat the oven to 180 C (350 F). Line 2 muffin trays with paper cases. 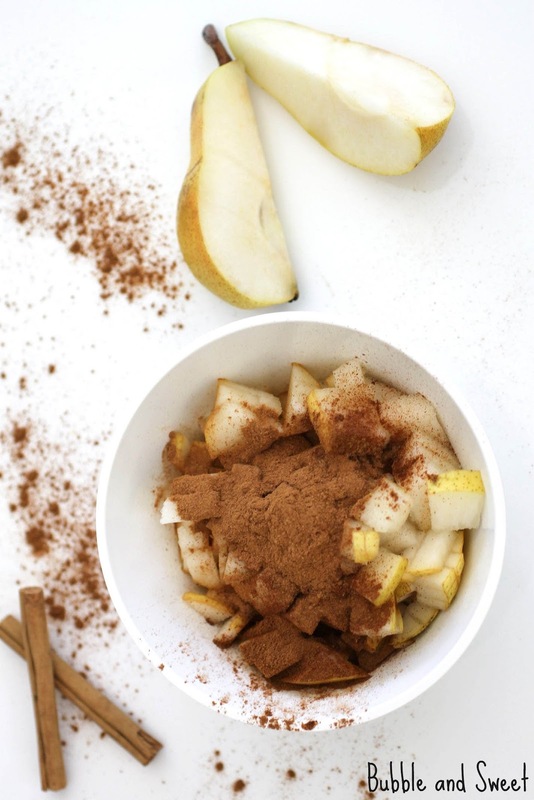 In a medium bowl mix together the pear, cinnamon and all spice. Sift the flour and sugar into a large bowl and make a well in the center, add the Eggs and softened butter and mix well at low speed using an electric mixer until just combined. Scrap down the sides. Increase the mixer speed to medium high and mix for 2 minutes. Using a spatula fold the spiced pear mixture into the cupcake batter. Spoon batter into prepared tins filling the paper cases 3/4 full. Bake for 15 minutes or until a toothpick inserted in the center comes out clean. Remove from oven and allow to cool for 5 minutes before turning out on a wire rack to cool. Place the cream cheese and unsalted butter in a large bowl and mix until combined. Add the icing sugar one cup at a time and mix at medium low speed until incorporated, increase speed to high and mix for 2 minutes until light and fluffy. Add the caramel and mix until well combined. If you are spreading the cream cheese onto the cakes you can use straight away if you would like to pipe place in fridge until the mixture becomes firm. Melt 125g (3.5 oz) unsalted butter in a bowl. 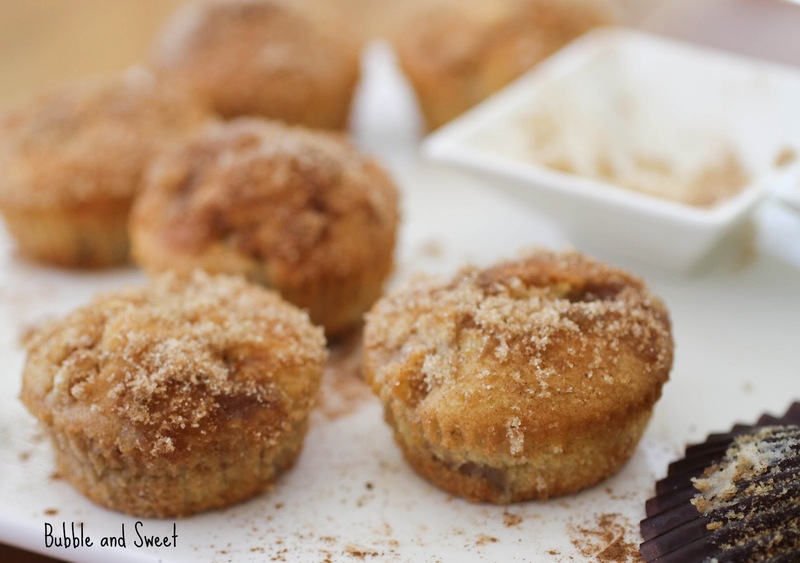 In a separate shallow bowl mix together 3/4 cup sugar, 1/4 cup brown sugar and 2 Tbsp (2 Tbsp 2 tsp US)ground cinnamon. Dip the tops of the cupcakes in the melted butter and then into the sugar mixture. 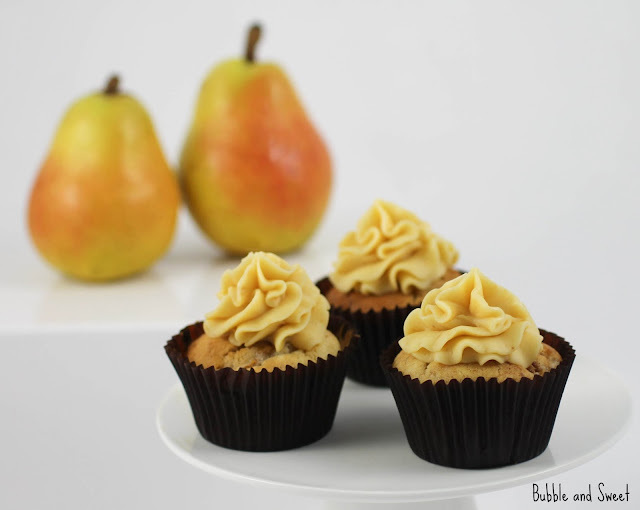 beautiful, I have some ripe pears, I might try these! I will admit to bring partial to your polka dots and covered in frosting cupcakes! They are a delight. Can you tell me if the icing can be frozen?